W.H. Stiles Fish Camp is a modern, urban fish shack serving freshly caught seafood from the South (mostly). 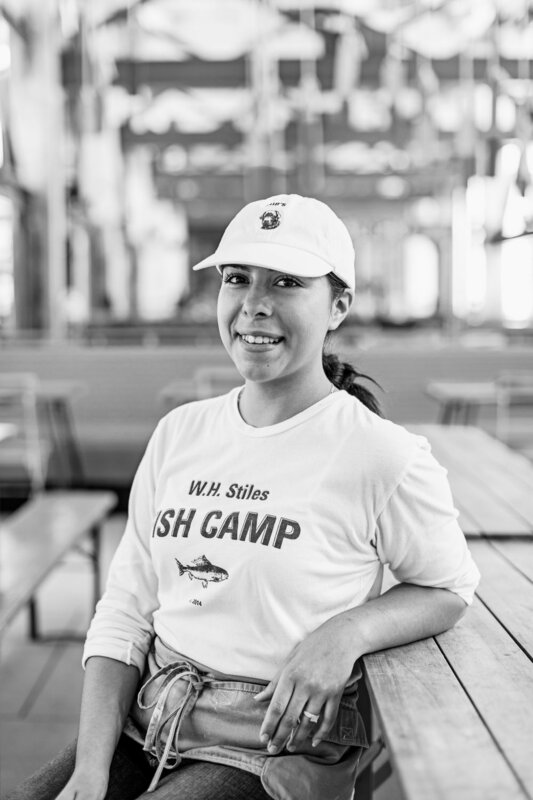 Named after Chef/Owner Anne Quatrano's great-great-great-great grandfather, W. H. Stiles, Fish Camp is affectionately referred to as "Dub's." Fish Camp features a raw shellfish bar with a rotating selection of oysters, clams, and crudo, sandwiches (po'boy, lobster roll, catch of the day), salads, bowls of fish, shellfish, and chowder, homemade seltzers, and a selection of beer and wine. For those who like to linger, Dub's retail section offers an eclectic array of sea-inspired home decor, kitchen utensils, oyster shuckers, claw crackers, sauces, and condiments. Evoking the bright, comfortable, and casual feel of oceanside seafood shacks, Fish Camp is an anchor of Ponce City Market's Central Food Hall.